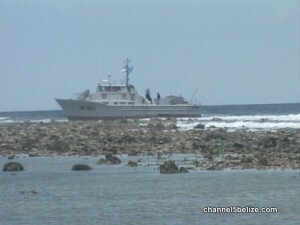 So here are the facts – a Guatemalan vessel is in Belizean waters, but preliminary investigations are that it is not a voluntary presence. Mike Rudon was on the site today and has the story. 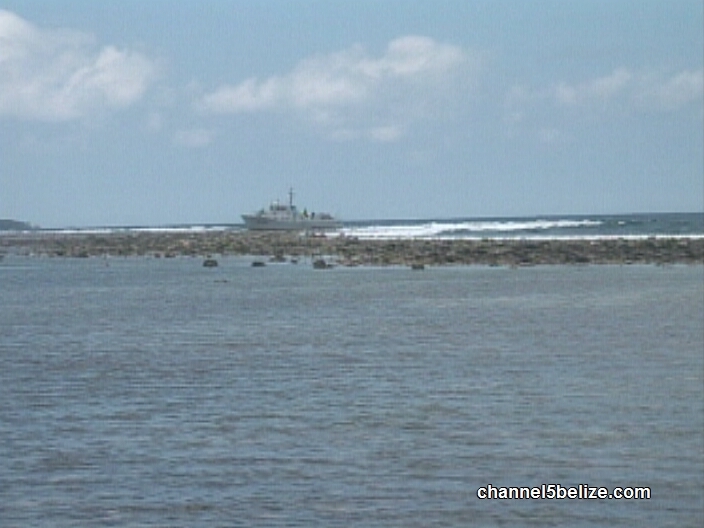 Here’s something we’ve never seen before and may never see again – a sixty-five foot Guatemalan naval gunboat perched high and dry on our reef. 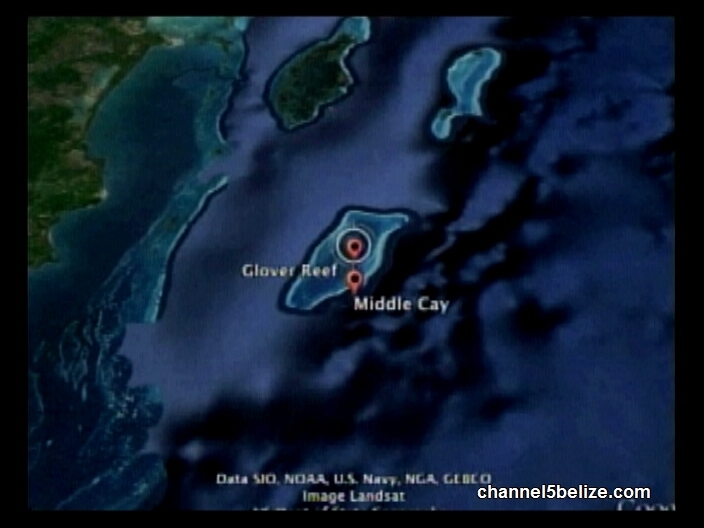 The vessel actually ran aground at exactly 11:23 Wednesday night between Long Caye and Middle Caye in the Glover’s Reef system. Park rangers and Fisheries Department personnel stationed on the island heard the sound of an engine revving, and then a loud crash. 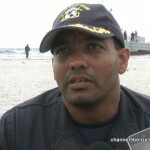 They took a small boat nearby to investigate, and once they determined that the vessel was Guatemalan, they called in the Coast Guard. Upon approaching the vessel, the Coast Guard made radio contact, and then advised the Captain that they would board. They encountered no aggression, and no indication of hostile intent, just two senior officers, cadets and training officers, thirteen persons total. From what the Coast Guard has been able to determine, the grounded vessel was travelling with another similar vessel when it experienced mechanical problems. 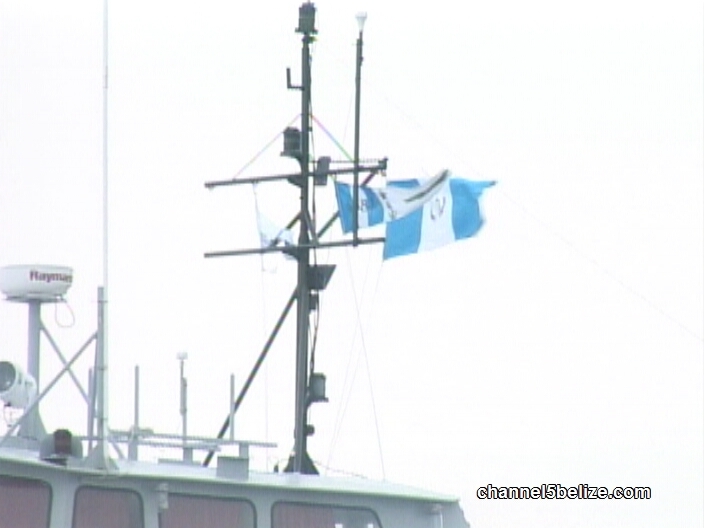 Today the second vessel was anchored some distance away, but it is not a concern for the Coast Guard. 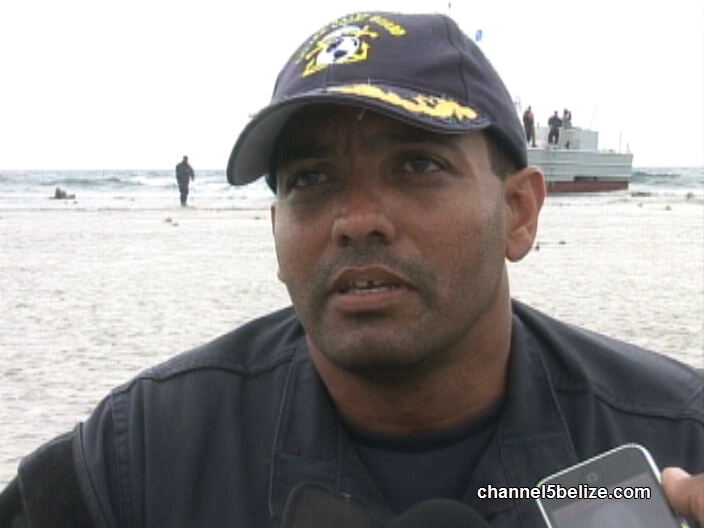 Belize’s territorial seas extend out twelve miles from where we were today, but naval vessels from any other country are able to transit and claim innocent passage. 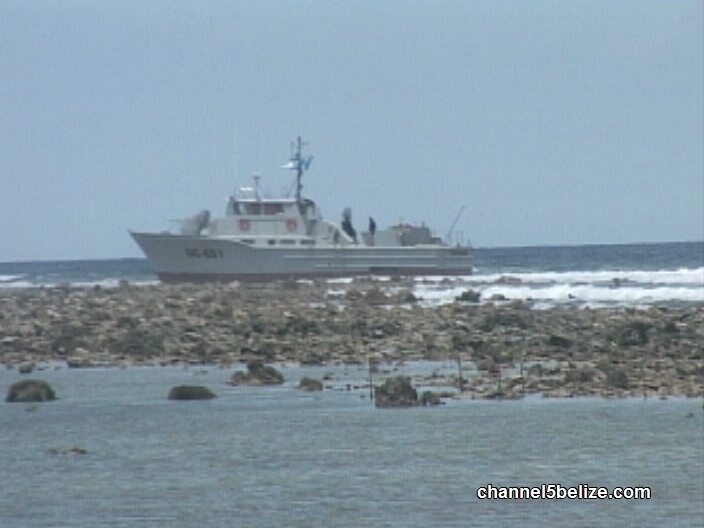 The Coast Guard remained on board the vessel today, awaiting a team from Belize City and Belmopan, including personnel from the Department of the Environment, to conduct an assessment of reef damage. 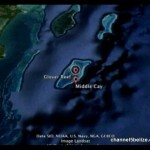 The timeline for removing the vessel from the reef is uncertain. According to Borland, the Guatemalans have sought assistance from the other patrol boat, and if that is not strong enough they will then contemplate using tugboats. The vessel will be treated the same as any other civilian, commercial vessel which would run aground on the reef. That may or may not require the detention of the persons on the vessel, but Bennett does not believe it will come to that. 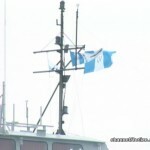 Today, with the permission of the Coast Guard, a small Columbian type Guatemalan military vessel circled nearby just for the purposes of observation. Mike Rudon for News Five. 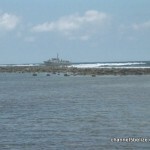 The Coast Guard will remain on station until the vessel is removed from the reef.